Black Mountain Park. Photo courtesy Wikimedia Commons. Councilman Mark Kersey and community volunteers announced the opening of a mile and a half of new hiking and biking trails at Black Mountain Open Space Park. The trails connect Glider Port Trailhead and Miner’s Ridge Trailhead with Black Mountain Ranch Community Park. They will also connect the two sides of Black Mountain Open Space Park on either side of Carmel Valley Road. 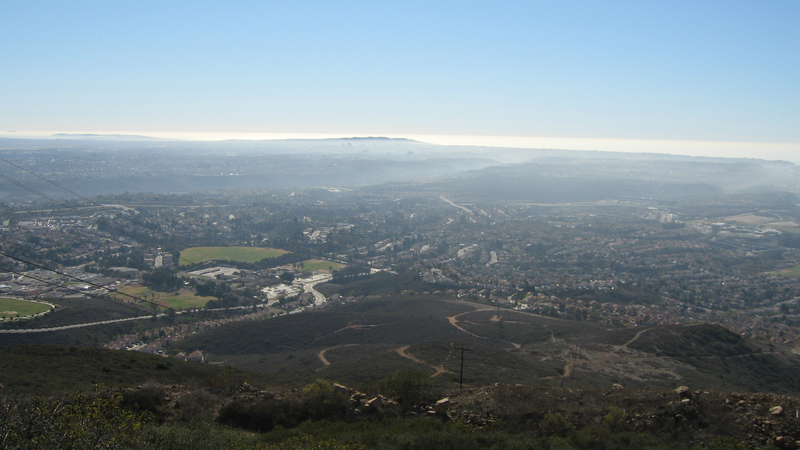 The new trails were created by San Diego Parks & Recreation Park Rangers and volunteers, who contributed about 1,200 hours of work to save the city approximately $31,000. Additional trails are expected to be completed later this year as part of the Black Mountain Natural Resources Management Plan.